WooCommerce is a free eCommerce plug-in which is useful and essential for all those website owners who are interested in selling online to consumers. This plug-in is designed and built in such a way that it works seamlessly with WordPress and powers about 30% of all the online stores. This is the most popular eCommerce solution for most people in the world and is loved equally by developers and store owners. MilesWeb is one of the few hosting providers that offers you best hosting for WooCommerce with 99.95% server uptime guarantee. MilesWeb helps you set your WooCommerce store online in the quickest and smoothest way. 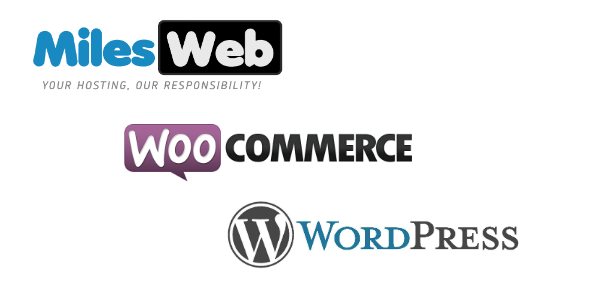 The packages offered by the hosting provider come preconfigured with WordPress and WooCommerce. Every client who chooses one of MilesWeb’s WooCommerce solutions gets not just free private SSL certificate but also the option to add dedicated IP which comes at a nominal additional cost. The company has shared hosting servers in UK, India, Romania and US which are totally optimized for running ecommerce stores for you. What makes this even more special is that the company offers several different kinds of packages for different needs. These include start-up package at $3 per month, Business package at $5 per month, Geek package at $7 per month and Pro package at $9 per month. – Managed WooCommerce Hosting – MilesWeb offers managed WooCommerce hosting solutions which are fast, secure and totally hassle free. This means that you don’t have to worry about anything as most of the work would be done for you, just the way you want. – Robust and Reliable – Every WooCommerce hosting server offered by the company is robust, built for incredible speed and offers a fast and reliable performance. – Total Money Back Guarantee – All WooCommerce hosting packages are backed up by an unconditional anytime money back guarantee which is one of the advantages this hosting provider provides. – Top Security – Another feature which MilesWeb offers and gives it an edge over others is that its hosting environments are 100% safe and secure. This enables you to focus on your store rather than website problems and issues. – Attractive Add-ons – WooCommerce plug-in and MilesWeb hosting solution brings to you several add ons like SSL, IP, themes, free templates etc which enable you to make your work easier and your website attractive. – Superb Flexibility – As a website owner or developer, you get great flexibility when you choose one of MilesWeb’s hosting plans. Not only can you add desired features but also choose the package which is of maximum use to you. From offering economical hosting packages to easy support and assistance round the clock, there are enough reasons to choose MilesWeb for hosting your dream online store. Thanks to the round the clock technical support and easy installation of the plug-in, you can set up your store in minutes and that too without the slightest worry. So what are you waiting for, choose MilesWeb – the best WooCommerce hosting provider. What Characteristics Define a Good Logo?